The Klopeinersee is a small and completely natural lake situated about 10 km from Voelkermarkt nd 10km from Eberndorf which are the biggest town in that region. 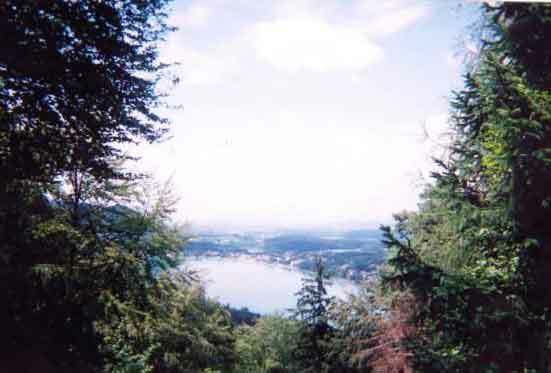 The Klopeinersee is about 1.5km in length and surrounded by forrest and big hills, the Gracarca and the Georgiberg. The Gracarca is a very historic point in Austrian history because in the last few years historians have discovered an old celtic town (http://www.keltenmuseum.klopein.at/) underneath the forrest ground. While still under work, people interested in history are already allowed to visit the ancient findings. The Gracarca is directly connected with the Georgiberg which is a tourist attraction for the beautiful view of the surrounding countryside. Eberndorf. Eberndorf is very famous for its old ‘Stift Eberndorf’ which is a huge church. Close to Eberndorf there is another beautiful lake called the Goesselsdorfer See which is very natural and an attraction for people who love fishing. 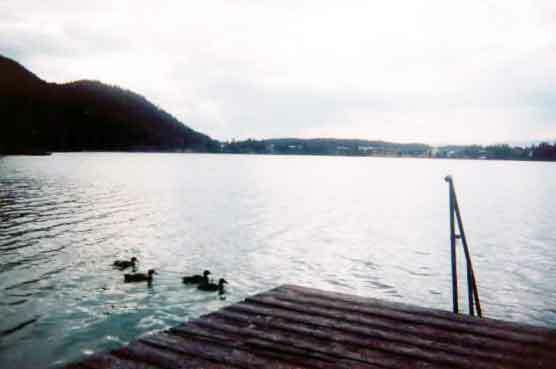 The Klopeinersee is one of three lakes that are surrounded bu the hilsl of this region. Very next to the Klopeinersee is the Kleinsee which is still under protection from tourism and in all its natural form. It is an attraction in winter for iceskating because due to its small size it completely freezes in winter. I have worked out several training runs in this beautiful region, starting from my parent’s house in Kuehnsdorf. In all my runs I run around the Klopeinersee and the Kleinsee. There is a pedestrian lane around most of the Klopeinersee and part of it runs very close to the lake. The road around the Klopeinersee is very hilly and perfect for hill training and advanced runners who want to improve their fitness significantly. The small road around the Kleinsee is all flat and there are no cars. I have worked out two training runs in the lake region, one is 18km in length and one is 14-15km in length. For cross-country runners and Ironman athletes runs around the Gracarca and Georgiberg are perfect because they include very steep hill sections where athletes can work out to their maximum heartrate and strenghten their glutes. I have worked out runs of 20-25km lenghth including a steep incline at the Georgiberg and runs of 35-42km including both the Georgiberg and also Gracarca. The complete Klopeinersee region is spaned by newly build cycle path which are perfect fro hobby cyclist who love nature and want to explore the Kaernten countryside by bike. For the keen cyclists, I have worked out a route on small roads through the Kaernten countryside to Klagenfurt which is the Ironman Mekka of Austria. Now that a new Ironman Worldrecord has been set here by Marino Vanhoenacker on July 3. Klagenfurt is the current Ironman Mekka of the World! The Klopeinersee is only 30-35km from Klagenfurt and can easily reached by bike. 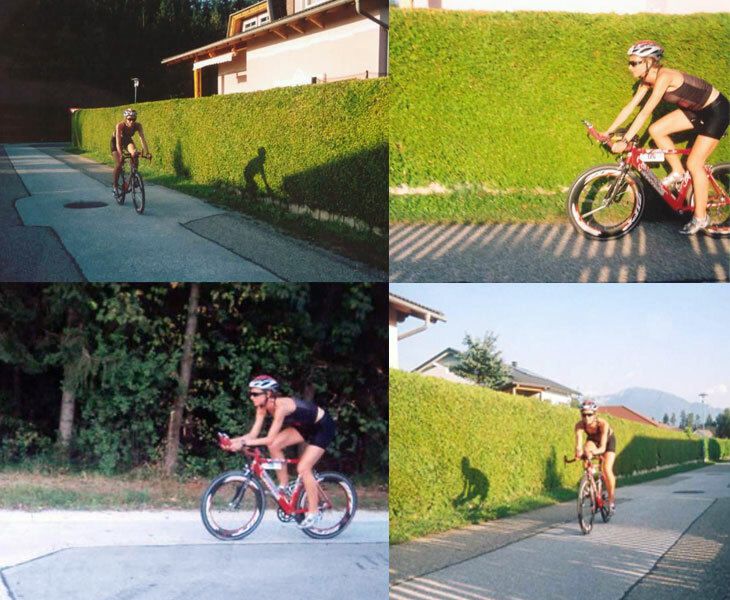 Once in Klagenfurt, the Ironman Austria course is open all year long and very well marked with the M symbol. So training is possible all year long on the official race course. The Klopeinersee is the warmest lake in Austria and reaches temperatures of almost 30 degrees C in summer. Athletes preparing for Hawaii can train here for several months without wetsuit because of the warm temperature of the lake. The Klopeinersee has also got a diving school, a surf school, a sailing school and several swim schools all very well supervised from a lifeguard team.